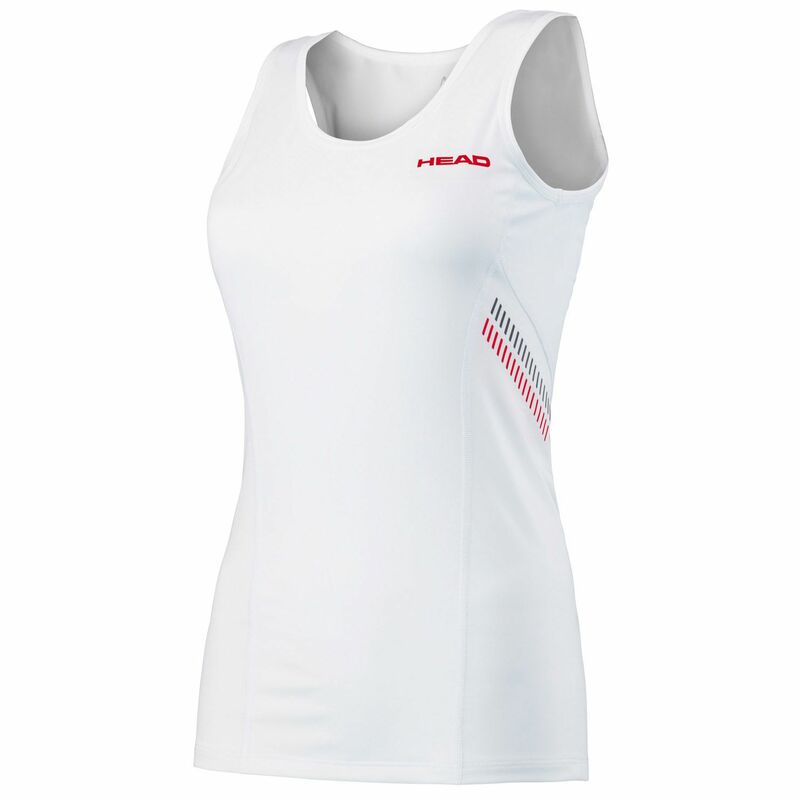 Great for regular training, the Head Club girl’s tank top is fitted, lightweight and comfortable and helps junior players stay fresh and cool during intense matches thanks to Endodry moisture-wicking system. It features a round neck and subtle Head logo on the left chest, whereas side mesh inserts guarantee proper ventilation. For maximum comfort and freedom of movement, the top boasts Ergofit and Ergostretch technologies. for submitting product information about Head Club Girls Tank Top We aim to answer all questions within 2-3 days. for submitting product information about Head Club Girls Tank Top. We aim to answer all questions within 2-3 days. If you provided your name and email address, we will email you as soon as the answer is published. for submitting product review about Head Club Girls Tank Top.